Creativity is the driving force behind Gautier’s development and diversification. The company has evolved with the times and, in the 1980s, created an innovative concept for the furniture industry: the bedroom as a personal space for children. At the same time, it began creating adult bedrooms and office furniture. The late 1990s saw the launch of the first living room collection, followed by walk-in wardrobes in the early 2000s, with collections becoming more and more popular with customers. In 2005, Gautier revised its distribution circuit and launched its first franchise. A hundred or so more followed in France and abroad (Belgium, Saudi Arabia, India, Bulgaria, Morocco, Russia,...). Gautier is in touch with the times and market requirements. In 2007, Gautier became the first French furniture maker to receive triple ISO 9001, ISO 14001 and OHSAS 18001 certification for quality, the environment and workplace health and safety. 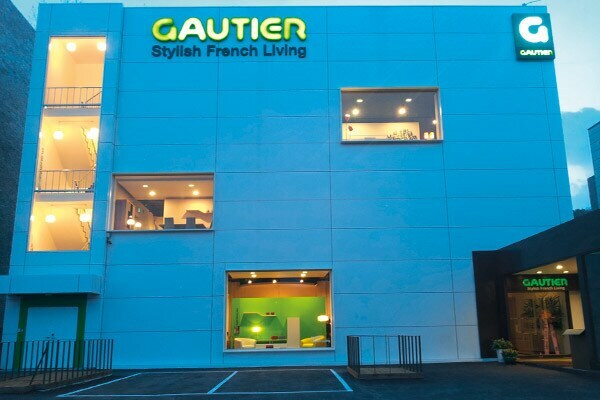 In 2010, Gautier had more than 50 franchised stores throughout the world and was continuing development of the scheme. In 2016, this number had already doubled, allowing Gautier to bolster its export success which accounts for 25% of the company’s turnover. Directed by Chairman Dominique Soulard and Managing Director David Soulard, Gautier today has approximately 930 employees and has 3 manufacturing sites, all located in Vendée, historic area, where the company was founded. In terms of innovation, Gautier is always at the forefront and actively involves its employees in improving the production process and launching new products. Innovation is also at the heart of its manufacturing process. In 2015, Gautier strengthened its industrial prowess by investing on its Boupère site in Vendée, mainly dedicated to the new FLEX machining line. Gautier entrusted most of this new investment, involving 1500 m² of the premises, to the Italian SCM Group. 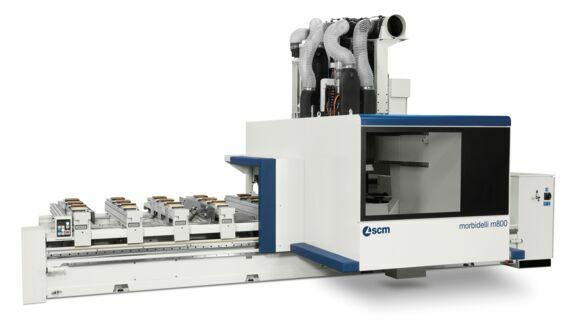 In particular, the line includes two Morbidelli Author 924 drilling centres, one Morbidelli Author M600 machining centre and Mahros handling system. With this investment, Gautier’s aim was to improve performance remaining always competitive. Target needs were flexibility, the ability to create more complex designs, improving quality, reducing the duration of the manufacturing cycle, increasing production capacity where necessary, consideration for working conditions and energy savings and, lastly, reducing batch size and manufacturing time for pieces. One of the main objectives sought from this new line was being able to dispense with the operator during adjustment phases. 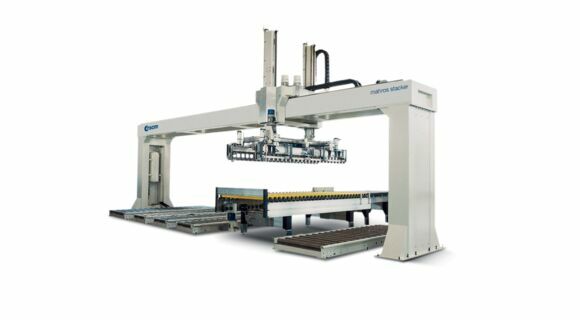 Only one operator (excluding handling and programming) is required for this line, which has two main functions: shaping/routing and boring. Routing is also possible, as well as dowel insertion. Stacks are conveyed and martyr panels are handled automatically. Production is according to models in order to best meet throughput optimisation constraints and assembly requirements. Today, several skills work alongside each other on this new installation. The rigour and quality of training required to operate this unit are the keys to achieving the set objectives. 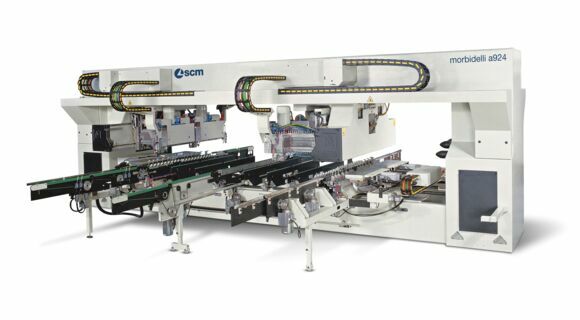 SCM Group also provided a custom software monitoring system to manage the unit and implement a production list as well as real-time monitoring of the flow of the various products on the line. This system optimises the intervals between pieces as well as feeding onto the line. The two islands (shaping and boring) are connected via an automatic handling device, enabling the feeding, accumulation and output of panel stacks. This intermediate conveyor has a monitoring system for communication between the shaping and boring stations. Martyr panels transport pieces between the shaping and boring stations. The martyr panels recovered from the start of the unit (shaping feed) are handled automatically by the monitoring system so they can be reused as they leave the unit (boring output) to be distributed with the stacks of finished panels. functions for line monitoring.” This special project increased the know-how of both Gautier and SCM. touch. This is certainly the path pursued by the Vendée company, which, at the start of 2016, launched the online sale of its products for the French and English markets. Yet another way to move with the times.